immersed in the meditative moment of relaxation. 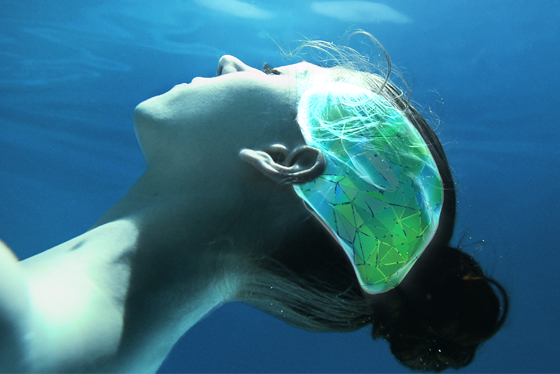 ZERO DIMENSION bathing brings freedom from gravity, releasing stress on joints and encouraging ultimate relaxation. reduces activity in the part of the brain that houses the language function. This is the reason Zero Dimension bathing feels calming and relaxing. Deeply stimulating water massage gives the feeling of real hands kneading tired muscles. 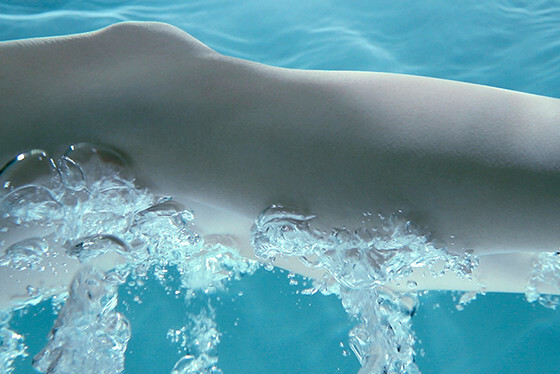 HYDROHANDS is a dynamic water massage that flows randomly around targeted muscles to release tension. 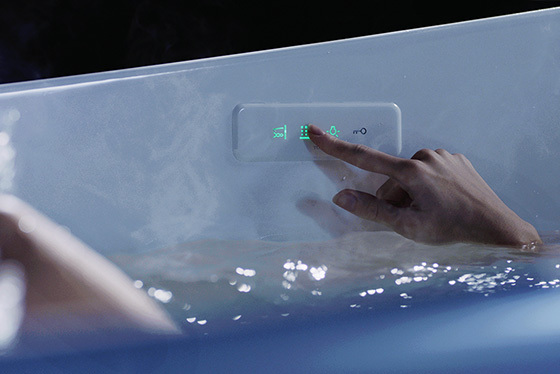 This powerful, constantly-moving stream gives the stimulating sensation of a masseuse's hands at work. 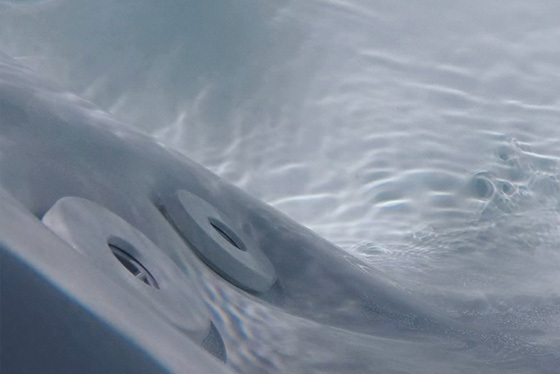 Free of air bubbles and noise, HYDROHANDS encourages a deep sense of relaxation. 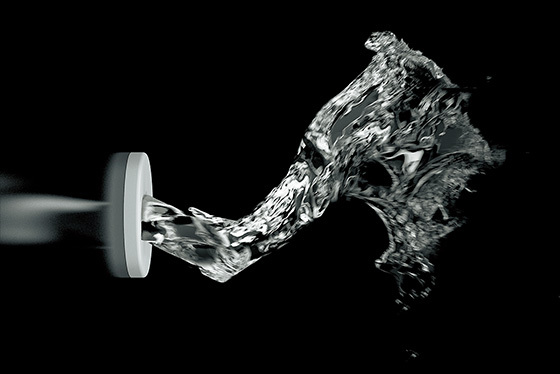 HYDROHANDS propels powerful water currents without air bubbles, delivering a firmer "touch" to the body. The water flow is soundless. In the Zero Dimension bathing position where body and mind are drawn toward to a meditative state, the stimulating water massage encourages even deeper relaxation. HYDROHANDS targets low back muscles that commonly fatigue from daily activity. HYDROHANDS will also provide a stimulating foot massage. Exclusive features make every bath a luxurious occasion. With variable pillow positions ensuring stability, people of all body shapes can enjoy warm bathing above the shoulders to the neck. Fluctuating streams of air bubbles rise from below and envelop the body with a soothing sensation. 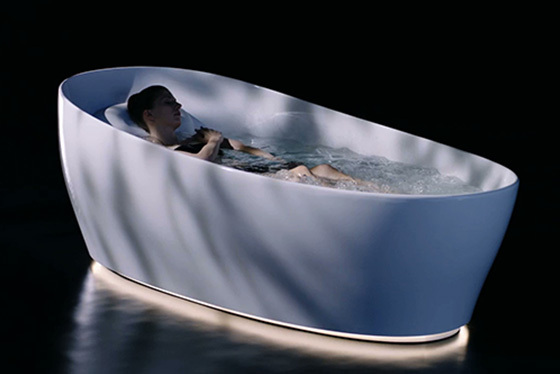 In the outer perimeter of the tub's base, LED LIGHTING supplies a dream-like ambience. 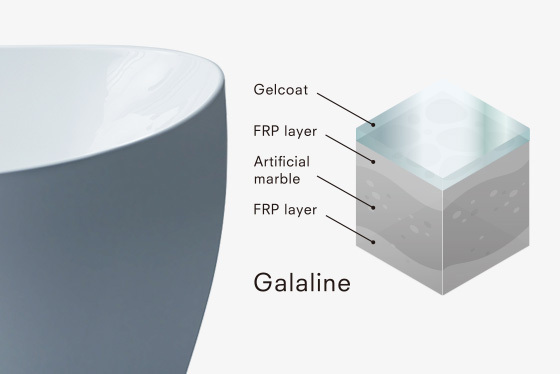 Offering outstanding durability, the tub is made of GALALINE artificial marble and constructed using TOTO's innovative sandwich configuration. The electrostatic CONTROLLER is operated by the slightest touch.